Urban Initiatives is proud to have hosted another successful Practitioners Summit this fall! 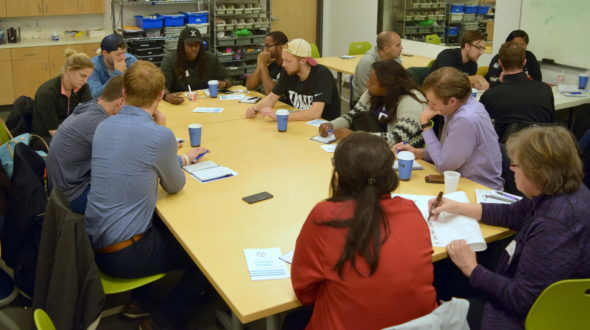 Over 70 people from 15 Chicago organizations in the city came together to spend the day connecting with each other about their work with underserved kids around the city. Some organizations, like Girls in the Game, Chicago Run, and Triple Threat Mentoring, have attended all the summits to date. Some organizations were participating for the first time, including Gary Comer Youth Center, Metrosquash, and the Chicago Blackhawks. It’s exciting that this event is gathering momentum from year to year and participation is broadening to include more unique voices from around the city! The goal of the summit is for organizations to learn from each other and learn about each other. 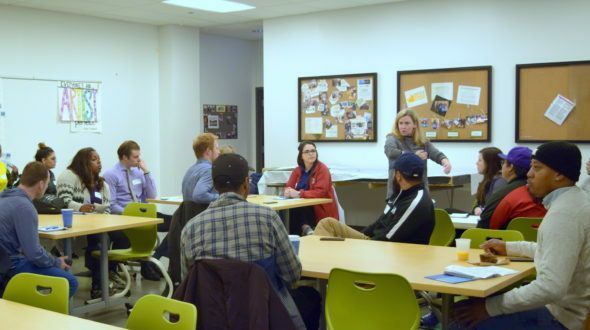 The summit emphasizes participation from direct program staff, who can connect with their counterparts at like-minded organizations across the city, and understand their work in the context of the larger landscape of nonprofit organizations in the city. We want to connect and identify as one team with the unique potential to impact underserved kids through sport and play! 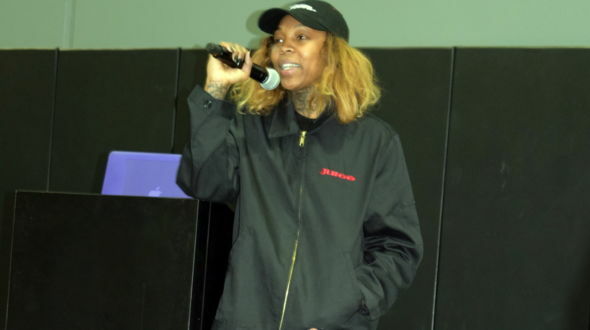 We also welcomed WNBA champion and Olympic gold medalist Cappie Pondexter as a special guest speaker. She grew up on the West Side of Chicago and began playing basketball at a young age. She spoke to the impact of sports in her life, as well as inspirational coaches she has known. 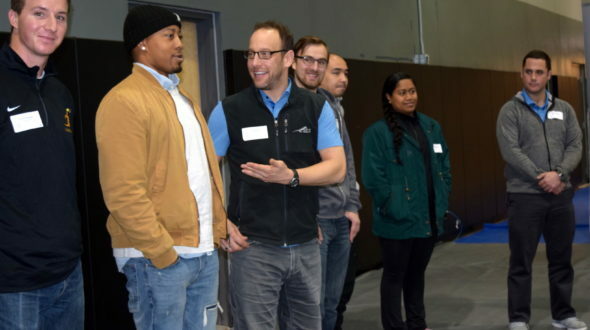 She also had an interesting perspective on professional sports, which many youth in underserved areas view as “the only way out.” As a woman who succeeded in becoming a professional athlete, Cappie described how she had always had plans to prepare herself for her future after her sports career ended. 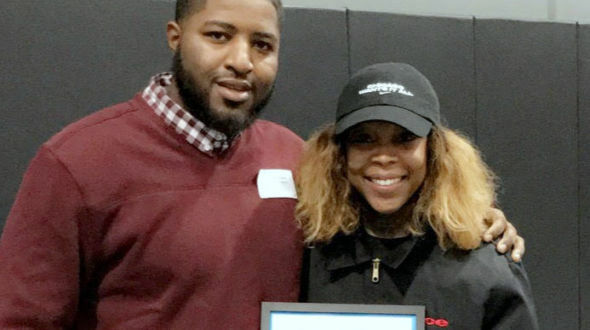 Using skills she learned and leveraged in sports, she also laid a foundation for a career in fashion to step into when she retired. All three of these speakers emphasized participants’ ability to make a mark on kids we serve. Whether it is a big mark or just a tiny mark, we can seize every moment to show kids that we care about them and support their success on an athletic field as well as in life. At this year’s summit, we also recognized Dionte Mandelove with the Service through Sports award! He is an Athletic Director and coach at St. Malachy Elementary on the Near West Side. He was nominated by OWLS Lacross director Sam Angelotta for his commitment to offering a varierty of sports to all students at the school, even with a minimal budget, as well as his passion for promoting a culture of positive sportsmanship on all his teams.